Kim Wood – Breathless – Album Review | The Ark of Music – The best music in the world…you never knew existed. Though she does not perform in public (expressing that, “The band makes me sing these songs!”), Costa Rica-based singer-songwriter, Kim Wood, has recently been thrust into the public ear thanks to one of our favorite indie artists, Toby Tune, who wrote and recorded all of the instrumentals for her debut album, the unique and quirky little EP, Breathless. With psychedelic undertones, In The Morning, won’t remind you of anything you’ve previously heard. This, another trip across love’s topography, gets super trippy at 1:06. Closing the EP is the cute little jingle, Tree, which brings with it a tropical melody and island tones. The mood and overall composition have a rather Björk-esque quality. We even get what I’m guessing is an authentic Costa Rica rain storm. With an endearing sonic nature, Kim Wood’s debut indie EP, Breathless, has a curious and inquisitive quality. On the surface, Wood’s vocal demeanor may seem shy and hesitant. Then, upon further examination, namely the lyrical content, it becomes clear that she’s thought long and hard about what she’s saying—and means every word. Thus, there’s a very yin/yang thing going on here, as every ounce of the album’s curiosity is matched with an even amount of confidence; every ray of light by its equal in tragedy; every bit of humor with an equally influential straight face. All in all, it’s a unique little collection that feels as though is has cleared some karma by offering an essential lot of self-expression. 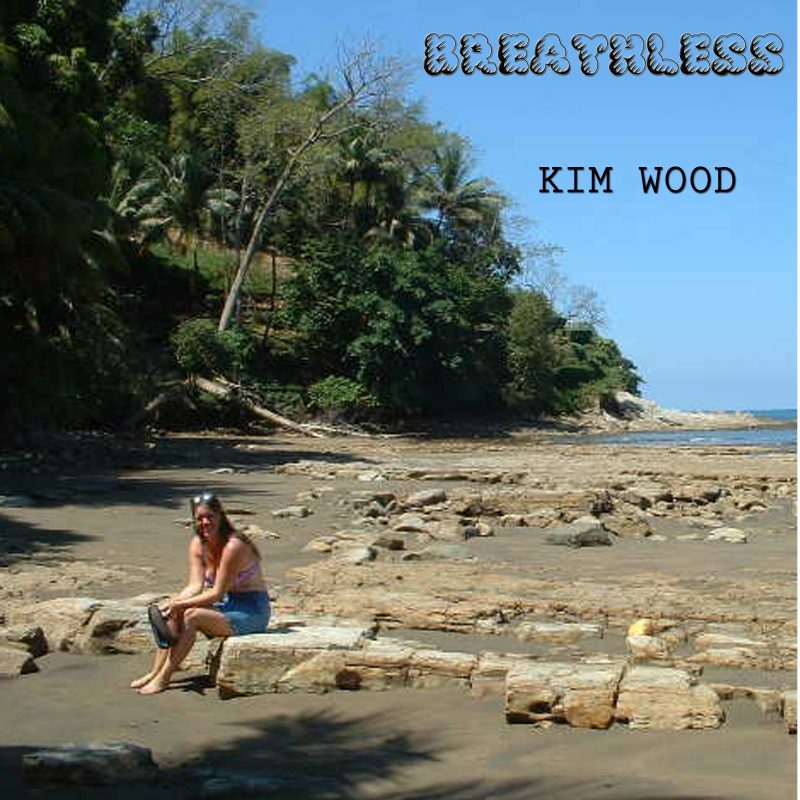 BELOW: Listen to Kim Wood’s album, Breathless, and connect with her online. Please support Kim Wood by visiting her online, and playing, downloading, and/or purchasing her music! And, as always, thank you for supporting real music!